Most people know that it is the battery that allows your vehicle to be started when it is not running. Many people are not aware that once your car is running, it is your alternator that takes care of running all of the systems on your car that require electricity. This includes your headlights, heating/air conditioning system, and your car audio just to name a few. The alternator is responsible for keeping the battery charged, so it is always ready to start the vehicle after it has been shut off. If your alternator fails, the battery’s reserve power will quickly be depleted causing your car to die or fail to start after it has been turned off. Items such as a broken pulley, a loose belt, or broken and corroded wiring can also cause the charging system not to function properly. 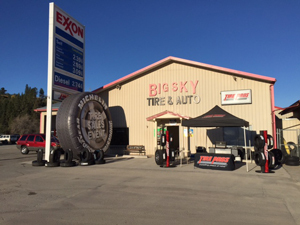 If you suspect a problem with your starting or charging system, have Big Sky Tire Pros test and service it today.